NW corner of McNichols & Mound Rd. 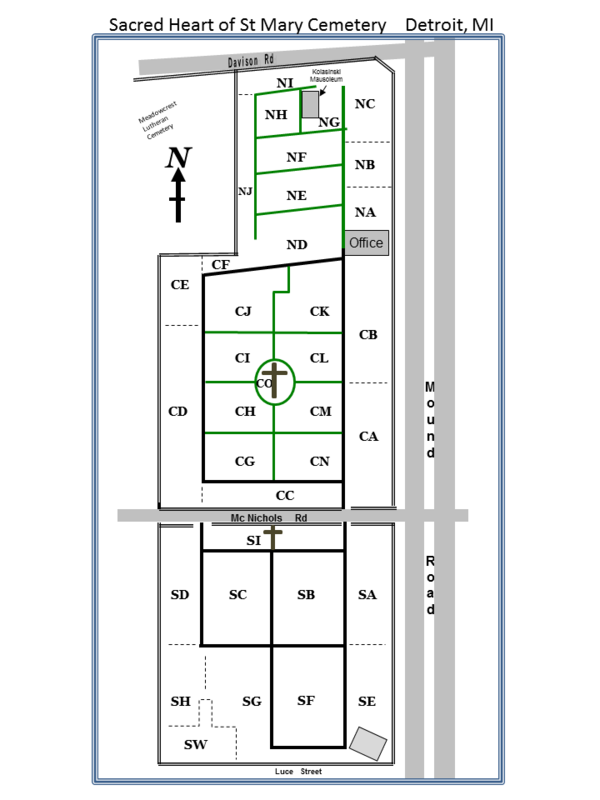 This cemetery is owned and maintained by Sweetest Heart of Saint Mary Church. 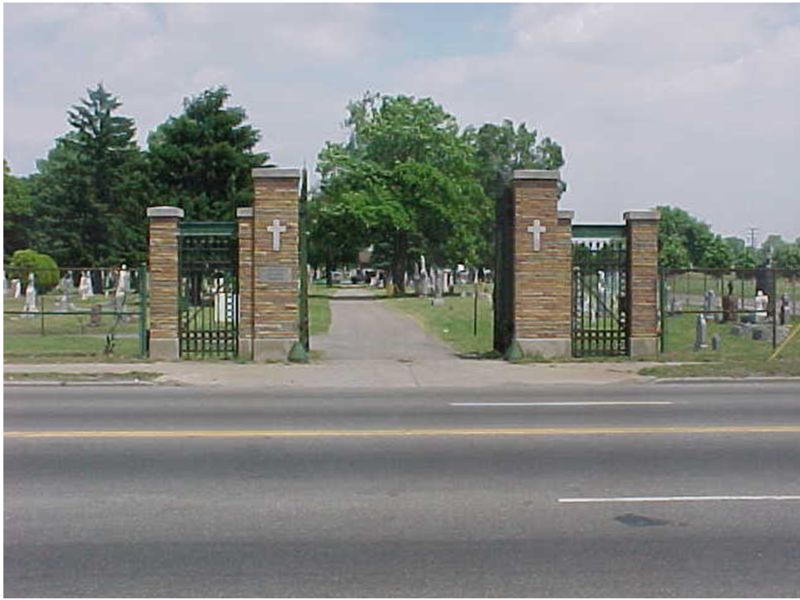 It was established as Greenwood Cemetery in the late 1800s under the leadership of Father Kolasinski on 12.5 acres of land. The name, Greenwood, lasted until the late 1920s. It has grown many times since then. Records were lost to fire in 1989, and great effort is being done by many to retrieve the names of the over 10,800 burials believed to be in this cemetery. A DVD of over 11,000 burials & maps extracted by PGSM is available from www.pgsm.org under the Store tab.